Can You Guess? Just ten years before Porter's birth was the premiere of The Maid of Orleans by Tchaikovsky, of Nutcracker fame. It is the operatic presentation of a religious story. Can You Guess who the Maid of Orleans was? 1723 - Handel became music director for His Majesty's Chapel Royal in London. 1850 - Premiere of Robert Schumann's Konzertstück for four horns and strings. Click Here to Search for Sheet Music by Robert Schumann at Sheet Music Plus. Or Click Here to Download Schumann's Three Romances directly to your computer from Virtual Sheet Music. 1857 - Philadelphia's Academy of Music opened with a Grand Ball which presented Il Trovatore with soprano Marietta Gazzaniga in her US debut. 1881 - Premiere of P. I. Tchaikovsky's opera The Maid of Orleans in St. Petersburg. 1905 - Premiere of Koussevitzky's Double-Bass Concerto, composer was soloist in Moscow. 1922 - Premiere of Saint-Saens's Carnival of the Animals, in Paris. Published postumosly at his request. 1957 - Buddy Holly and the Crickets recorded That'll Be The Day, their first hit. 1963 - The Beatles released their first U.S. single Please Please Me. 1973 - Premiere of Stephen Sondheim's musical A Little Night Music. 1993 - Premiere of Ellen Taaffe Zwilich's Symphony No. 3. New York Philharmonic. 2001 - Premiere of Robert Capanna's String Quartet No. 2. The Mendelssohn String Quartet, in Philadelphia. February 25, 1952 - The first musical choreography score was copyrighted. It was Cole Porter's Kiss Me Kate. Cole Porter was born June 9, 1891. He was the son of Kate and Sam Fenwick. Kate's maiden name had been Cole, and that became their son's first name. Cole began music lessons at age 6, studying piano and violin. Although quite good at both, he preferred the sound of the piano, and turned his attention there. Cole practiced two hours a day. He and his mother sang parodies of popular songs to the tunes he practiced so that his interest would remain high throughout the practice. By age 10 Cole was already composing songs. He dedicated a piano piece called Song of the Birds to his mother. She had 100 copies printed so it could be sent to friends and relatives. Quite well to do, Cole's mother was quite influential. She financed student orchestras in Peru, Indiana in exchange for Cole getting violin solos, She also made sure Cole got good publicity for his work, and subsidized his early compositons. Cole enrolled in the Worcester Academy in 1905, where his music teacher, Dr. Abercrombie, taught him the relationship between words and music. According to Cole, Abercrombie said "Words and music must be so inseparably wedded to each other that they are like one." Cole attended Yale, where he composed many fight songs for the school. He took part in stage productions for the Delta Kappa Epsilon fraternith and the Yale Dramatic Association and performed with the Yale Glee Club. He also composed several full production musicals for clubs and alumni associations as well as approximiately 300 individual songs. After Yale, Cole attended law school at Harvard, but his interest was music. In his second year Cole switched to the school of Arts and Sciences. Eventually, though Cole moved to New York City to begin his musical career. In 1915, Cole’s song Esmeralda appeared in the Broadway review entitled Hands Up. His first Broadway show was See America First, which only played for two weeks. Cole spent part of World War I as a wealthy socialite in Paris, where he made many contacts among intellectuals and artists. Cole's musicals and individual songs soon gained him popularity. He wrote many with Fred Astaire and Ethel Merman in mind. He had a keen eye for talent, and showcased many new talents. His revues, La Revue in Paris and Paris in New York were successes and some of his most memorable songs came into existence. But, for the most part the 1920's were not especially successful for Cole. But the 1930s were Cole Porter's Golden Decade. He had 7 musicals on Broadway during the decade, among them The New Yorkers, Gay Divorcee, Anything Goes, Jubilee, and Red Hot And Blue. Some of his musicals began to be turned into films starting with The Gay Divorcee. Porter was famous for giving and attending lavish parties. He socialized with elite society, and used these contacts to further his career. He played his songs at parties for potential producers and star performers and avoided working with management. It was in this way that Fanny Brice commissioned him to write some material for her. In 1937 Cole was involved in a horse riding accident and fractured both of legs. He was in the hospital for months, and his mental and physical health waned. It got worse with the eventual amputation of one of his legs. This did not stop Cole from writing music. During this period were Cole's popular songs Most Gentlemen Don't Like Love, From Now On, and Get Out Of Town. In spite of the success of his music Cole suffered from depression. 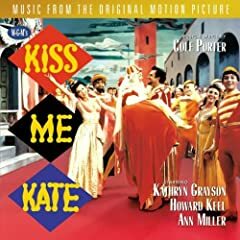 In 1948, Porter wrote Kiss Me Kate, a musical based on Shakespeare's "The Taming of the Shrew." It ran for over 1,000 performances. The next year, he came out with Anything Goes, which almost paralleled Kiss Me Kate's success. But Porter's motivation began to wane, and although he wrote few more shows, among them Can-Can, Silk Stockings, and High Society, they did not achieve the success of Kiss Me Kate. 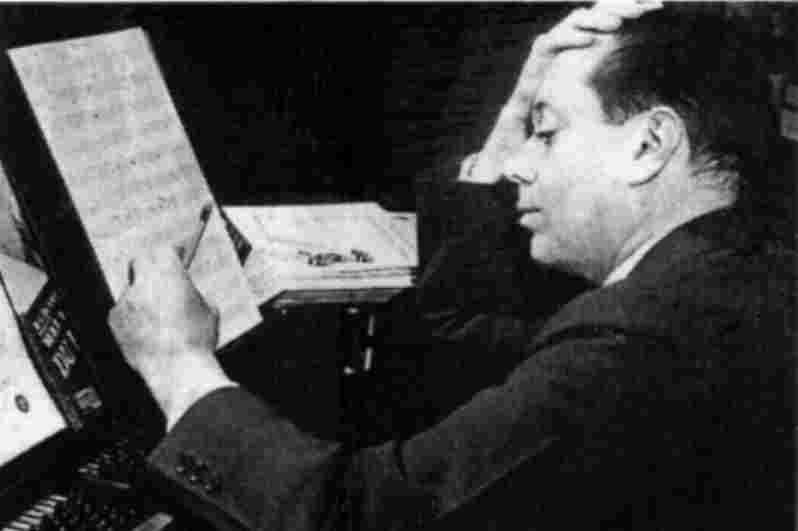 Cole Porter died October 15, 1964. Music of Cole Porter Plus One Flute Book/CD Edited by Caroc. Arranged by Tony Esposito. Cole Porter. Instrumental collection (Flute -- vioin can play flute part). Level: intermediate advanced. 32 pages. Click the Leprechaun to See! The Maid of Orleans was Joan of Arc. 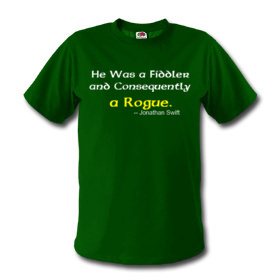 Click Me to See Irish Fiddle Sheet Music! Some of the Best Shows Broadway Has Ever Produced!